The once electric buzz surrounding the prospect of Brazil as an emerging market powerhouse is no more. International investors are losing their taste for the country and it’s weakening economy, remarkable considering just a few short years ago Brazil was heralded as a harbinger of a new global economic order. Likewise, the ongoing revelations about corruption at Petrobras, the Brazilian state oil company, as well as renewed street protests calling for the ouster of President Dilma Rousseff over the scandal, highlight a renewed crisis of public confidence in a place where the populace had already lost nearly all its faith in political figures. None of this seems to bother the cheery Luz family. Playing off of “Luz,” the Portuguese word for light, which interchangeably can also mean electricity in common speech, the Luz family is part of the Brazilian government’s new campaign introduced this month to curb power usage. 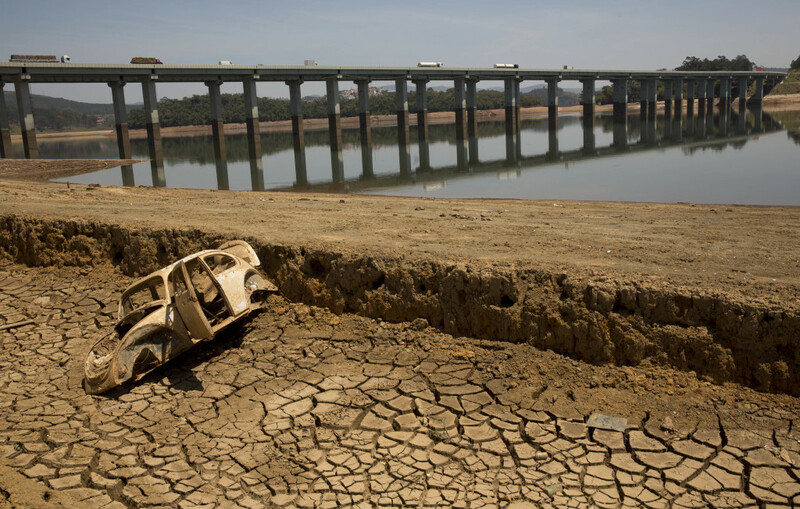 Caught in one of the worst droughts in recent memory, Brazil has been forced to ration water. Cities like São Paulo are dying of thirst. The threat of electricity rationing looms as well, since Brazil’s grid is designed to run off of hydropower. Enter the Luz family. Through a series of quirky, upbeat videos, the fictitious family provides Brazilians with everyday tips on how to save energy. The clips even feature advice from the family’s maid, showcasing a common aspect of the country’s notoriously unequal socioeconomic structure. However, the effort masks a more fundamental facet of the country’s energy challenges. Brazil is the world’s second largest hydropower producer after China, generating more than 75% of its electricity from such sources. However, prolonged drought means that the country is deriving more and more of its electricity from natural gas fueled cogeneration and Brazil is not self-sufficient in gas production. Data published earlier this year by Platt’s showed that in 2014 imports of Liquefied Natural Gas (LNG) increased by 28%, which doesn’t even take into account gas piped in from neighbors like Bolivia. Although Brazil is no stranger to drought, natural gas fueled cogeneration was always considered a back-up plan in case of emergency or short-term dry periods. Although the first quarter of 2015 has not yet closed, with drought still hitting the country and as Brazil caps off a blazing summer, it is likely that gas imports will continue an upward trend. In tandem with a currency weakening rapidly against the dollar, the situation is not sustainable. It is difficult to imagine a global megalopolis like São Paulo, which dwarfs a place like New York City, suffering through such a crisis. “With the water shortage it already felt like we were camping and now the power is going out for a few hours, several days a week,” said Thiago Neves and Celise Armstrong, a couple who live in Vila Sonia, a residential neighborhood of São Paulo. “Hopefully it won’t get much worse…but I’m sure it will,” they added. Considering the lights are already flickering and since behavioral change is often a tough sell, the government’s campaign seems to be too little, too late. Even if it manages to convince people to adopt more frugal energy usage habits, with persistent drought Brazil will need more natural gas and a lot more than just tips from the Luz family to keep the lights on. Thank Anthony for the Post! When the budget is very strict and most of it already allocated by law. What happens? A weak economy is sustaining very low power prices BUT the marginal cost of expansion will drive future power prices way up! Further divestment from Petrobras in the natural gas distribution sector.